VLC media player (commonly known as VLC) is a portable, free open-source, cross-platform media player. It plays most video and audio files as well as DVDs, Audio CDs, VCDs (Video Compact Disc), and various streaming protocols. VLC media player has versions for Windows, Linux, Android, iOS, and many other operating systems. It can be installed or run directly from a USB flash drive or other external drive. 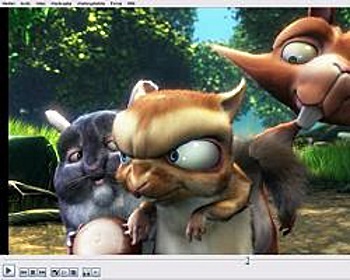 The VideoLan software originated as an academic project in 1996 intended to consist of a client and server to stream videos from satellite dishes across a campus network. It was rewritten from scratch in 1998, and was released under GNU General Public License on 1 February 2001. It is now developed by contributors worldwide and is coordinated by VideoLAN, a non-profit organization. Microsoft did not include Windows Media Player in Windows 10. Instead, they decided to release a $14.99 DVD player app. Even though the app will be free to most people upgrading from Windows 7 and 8, if you have to reinstall, you may find yourself having to pay. Microsoft's DVD player app apparently is very limited. Rather than worrying about any of this, you could just download VLC.